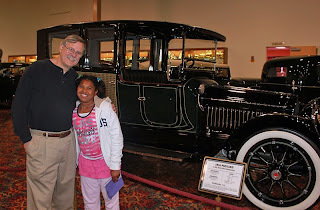 We had slightly better luck at the Nethercutt Museum* today. 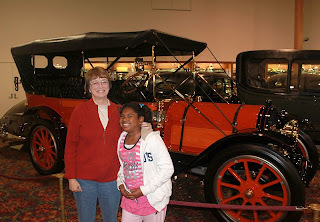 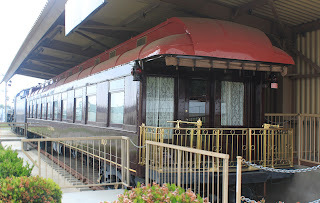 We got there in plenty of time to tour the free car museum before heading out back to see what we'd come for - the 1912 Pullman rail car originally owned by the daughter of "Lucky" Baldwin and the 1937 Canadian-Pacific Royal Hudson locomotive. 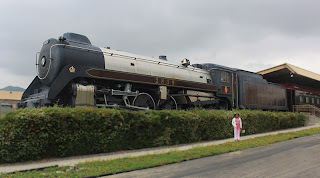 Naia was very disappointed that the locomotive was closed for refurbishing and we couldn't go onboard. 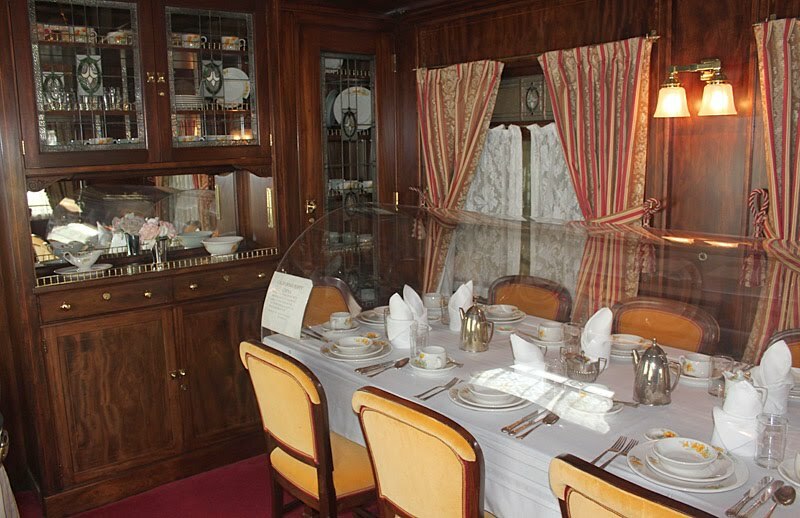 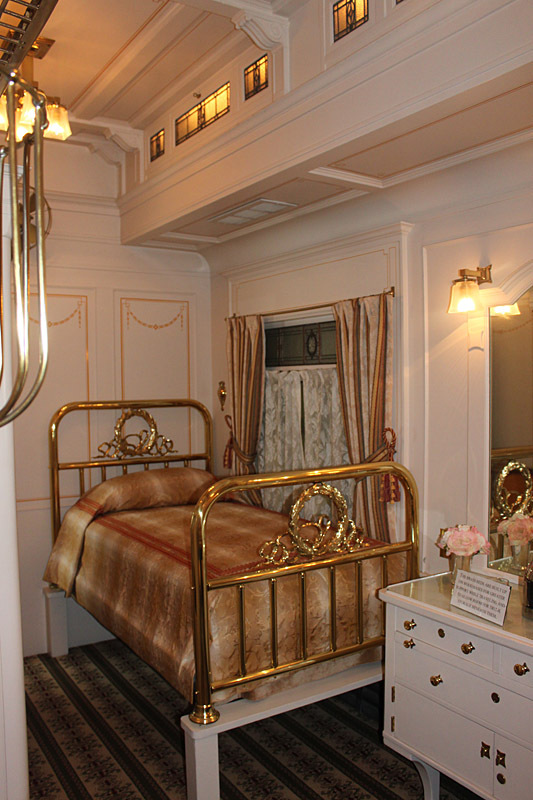 But we were able to tour the rail car and it is opulent, with a player Pianino to greet guests at the door, formal dining for 10, staterooms with stained glass windows, servant's quarters, full kitchen with a huge cast iron stove, and much more. 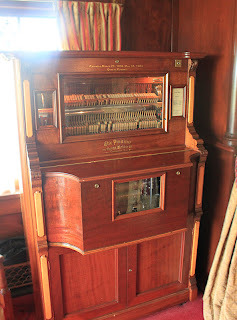 Tomorrow, with any luck, we'll be taking Amtrak to Santa Barbara for the day. Still need to get her a tour of a locomotive some time soon . . . .
* If you haven't visited the Nethercutt in Sylmar, it is well worth the trip. 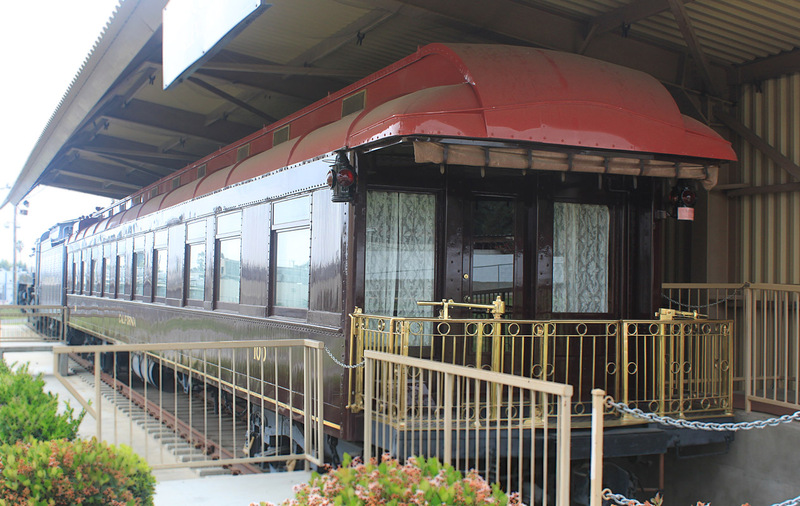 One building - the one that houses part of the car collection and the train - has free admission with no reservations required. 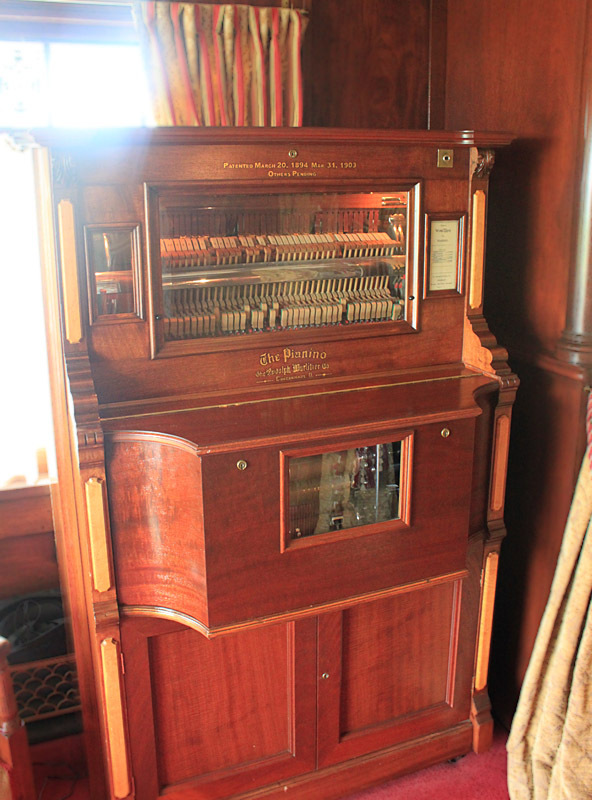 To gain entry to the second, bigger building - with more cars, fabulous musical instruments, huge pipe organs and more - you need to make reservations in advance.